Parents filing for visitation are often faced with a dizzying array of pleadings they must file and evidence they must provide. In Massachusetts, there are general guidelines judges must follow when making custody determinations. Massachusetts law is gender-neutral with regard to custody decisions. Both parents have equal rights to their children with most custody hearings occurring in the Probate and Family Court. Cases involving abuse may be heard in the District Court. All child custody determinations -- including visitation arrangements -- are made according to the "best interests of the child" standard. In Massachusetts, there are no specific factors a judge must examine; however, she is likely to consider factors such as each parent's attachment to and time spent with the child, the age of the child, the wishes of the child and the child's adjustment to her environment. 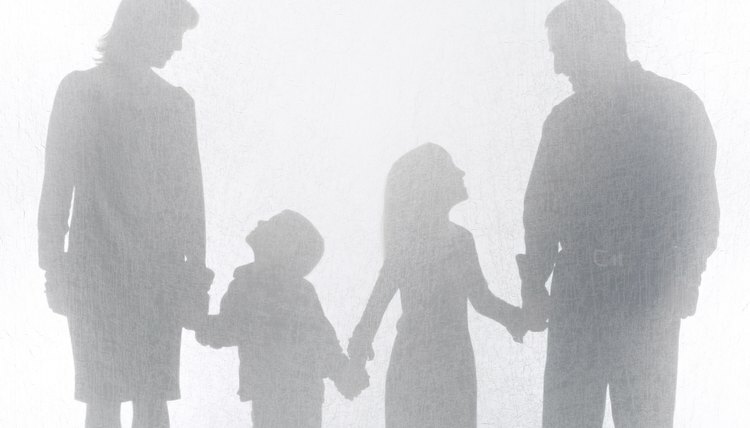 Massachusetts treats both parents as equals in preliminary custody proceedings and, when visitation arrangements are established, there is a strong presumption in favor of visitation for the non-custodial parent. In joint legal custody arrangements, both parents have equal say over decisions involving the child, such as education and medical treatment. One parent may, however, have primary physical custody of the child. This means that one parent's house is the child's primary residence; this parent is known as the "custodial parent" or "primary custodian." In these custody arrangements, the non-custodial parent has the right to attend doctor's appointments, extracurricular activities and other events involving the child. The parent is also typically granted generous visitation by a final custody order. In sole legal custody arrangements, only one parent has final decision-making authority over the child. There may be a parenting plan in which the non-custodial parent's visitation schedule is outlined. If there is not a parenting plan, the non-custodial parent must ask the custodial parent to see the child 24 hours in advance and the custodial parent must grant reasonable requests. Visitation is usually granted as part of a divorce or paternity proceeding. In the initial proceeding, state law presumes that both parents have equal rights to the child. Fathers who were not married to the child's mother at the time of the child's birth must file a petition for acknowledgment of paternity -- even if they signed the birth certificate -- prior to commencing custody proceedings. If a non-custodial parent wishes to change the custody order associated with a previous paternity or divorce proceeding, he must file a petition for visitation with the court. State law requires that all custody petitions have a parenting plan attached. In this plan, you should outline your proposed visitation schedule, as well as any information about why this schedule is in the best interests of the child. Typically, to file for a change in visitation, the parent must show a change in the child's material circumstances. These changes might include one parent's move, changes in the child's psychological well-being, or changes in the custodial parent's parenting competence. When a judge determines that a parent has abused his spouse or abused or neglected his child, that parent's visitation rights are immediately limited. The parent may be granted supervised visitation with the child, or his visitation rights might be completely removed. Typically, judges issue temporary orders -- lasting anywhere from a few weeks to several months -- requiring the parent to take certain steps before he can regain his visitation rights. In serious cases of abuse, the parent's visitation rights, and even his parental rights, may be permanently and completely revoked. A temporary custody hearing occurs when one person seeks temporary custody of a child pending a final resolution of the custody matter. These hearings are most commonly a part of a divorce proceeding, but may also occur when a grandparent or other figure seeks custody of a child when the parents are unable to provide proper care. In some states, temporary custody hearings are automatic whenever there is a divorce or dispute over custody. In other states, you must file a petition with the court seeking a temporary custody hearing. Consult your state laws or a family law attorney.